Tonight, I'll be on the arm of my favorite SOB at Chita Rivera's show at Birdland. 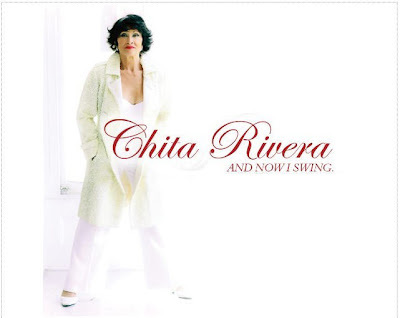 Chita is celebrating the release of a new album: And Now I Swing. Songs on this album were featured at the cabaret she performed at Feinstein's last November. Boys, let me tell you - she can swing.